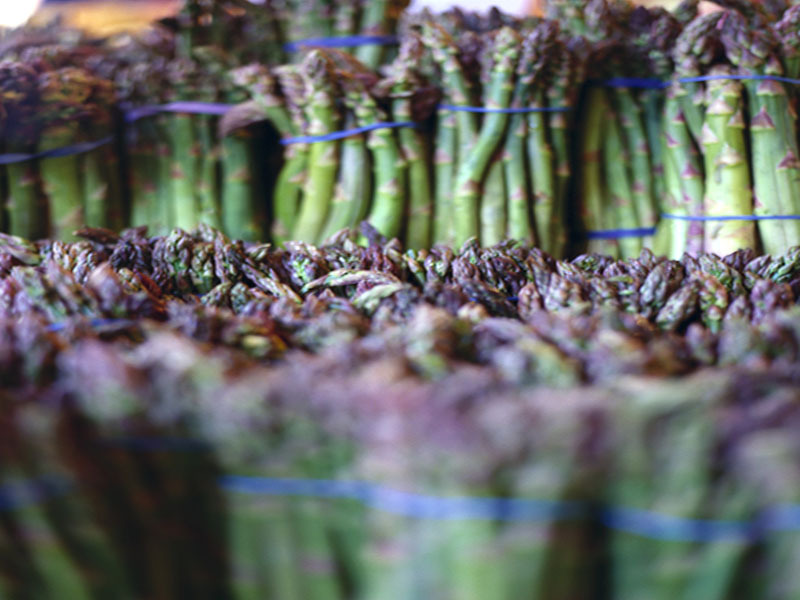 Asparagus is the quintessential spring vegetable, high in iron, folate and vitamins K and A. Quick to cook and easy to pair with flavorful ingredients, asparagus can be a tasty side dish or the starring ingredient in a risotto or pasta main course. Asparagus is also great for digestive health, because it's a pre-biotic, meaning it feeds the helpful bacteria that live in your gut. These good bacteria are responsible for everything from signaling your immune system and keeping digestion in check to producing vital B vitamins. When shopping for asparagus, look for spears that are free of blemishes and dry spots, and tips that are closed and firm. Use asparagus promptly -- it can spoil quickly. Peas are high in fiber, vitamins C, K and B, and are easy to incorporate into many dishes. Watercress is a crunchy green with vitamin C, beta carotene, lutein, zeaxanthin and some B vitamins. It adds a peppery flavor to dishes and salads. Here's a twist on a classic spring dish that showcases all these veggies and is deliciously creamy. Trim off the tough ends of the asparagus and slice spears on the diagonal, making 3-inch sections. Warm a large skillet and add the oil. As soon as the oil shimmers, add peas, asparagus and watercress along with the salt and cayenne, if desired. Cook vegetables two to three minutes until soft. Add the pasta to the pan and toss. Turn heat to low. Stir in cream cheese and yogurt, tossing well to coat vegetables and pasta. Sprinkle on the Parmesan. Serve immediately.